London freeholder Israel Moskovitz has suffered a humiliating defeat in tribunal failing to stop 24-flat Bridge Court South, in Leyton north-east London, from exercising right to manage. In a sharply worded ruling, the tribunal told the freeholder he was to drop the “nonsense” of “putting up obstacles without any genuine foundation” to frustrate the leaseholders’ RTM. The tribunal dismissed Mr Moskovitz’s argument, advanced by legal team Scott Cohen, that faced with an RTM application after the Elim Court Court of Appeal decision on RTM, “the safest course is to issue a counter notice to challenge the position for a clear determination on the issue”. The right to manage application was Bridge Court South’s third attempt, with the issue being whether the freeholder had received the notification of RTM or not. Leaseholders will appreciate the irony that on this occasion Mr Moskovitz’s freehold owning vehicle was Triplerose Limited, which has given its name to another Court of Appeal case that bars the formation of a single RTM company in multi-block sites. LKP is urging the Law Commission to recommend a complete reversal of this situation. The leaseholders at Bridge Court South are delighted by the result, which will also free them of Y and Y Management run by Mr Moskovitz’s long-term business associate Joseph Gurvits. Y and Y Masnagement is a member of ARMA as it “underlines our commitment to fair trading and ethical working relationships”. The cloud on the horizon for leaseholders at Bridge Court South is that Mr Moskovitz is asking leave to appeal to the Upper Tribunal, and so continue the fight. The right to manage application was the third attempt by the leaseholders to break free of their landlord-appointed management. 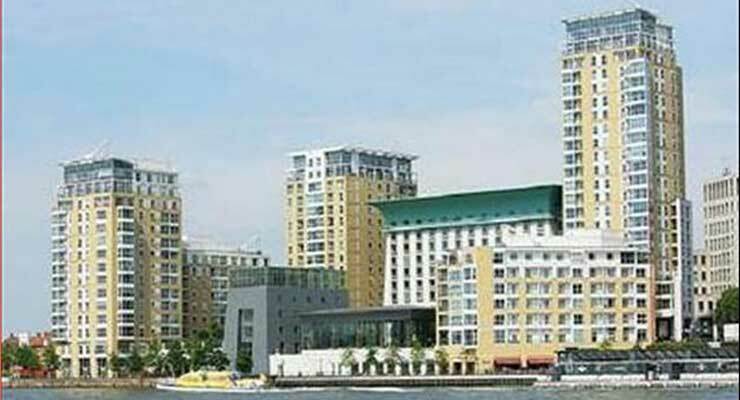 Mr Moskovitz bought the freehold in 2010 after it failed to sell at auction. While leaseholders at Bridge Court South can opt for right to manage, their neighbours at Bridge Court North are unable to do so because shops below add up to more than 25% of the building. LKP is also campaigning for leaseholders in mixed-use buildings to have the right to manage and the right to enfranchise buildings where 25% of the site is commercial. This is also an issue being considered by the Law Commission. 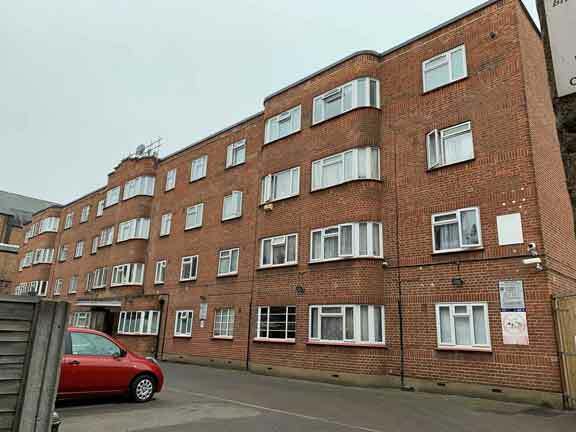 Ben Edwards, the leaseholders’ chair who bought his two-bed flat at Bridge Court South in March 2017, told LKP that an unrepaired security gate had exasperated leaseholders. “It led to problems in our common areas, including heroin and crack use, human waste, non-resident fly-tipping leading to rats, and criminal activity,” he claims. Thank you for your e mail of today’s date offering the opportunity to comment.Triplerose Ltd have sought legal advice and in regards to the RTM notice validity, we cannot comment on an on-going legal dispute at this time. The comments about the security gate are factually incorrect. We would draw to your attention that the First Tier Tribunal have in fact inspected the property previously themselves and found that the problems and vandalism of the gate is a problem caused by visitors and/or occupants of the property. We would invite you to consider the independent finding of the First Tier Tribunal of our actions and responsibility for the various issues at this block. The FTT recorded itself in the decision of 10th July 2012 (Lon/00BH/LSC/2012/0136) that by its own inspection the property was ‘on the verge of being unmanageable’ (paragraph 4) and that ‘ It is right to record that the managing agents appeared to be doing all they could in extraordinary difficult circumstances (paragraph 7); Further the tribunal comment at paragraph 16 that ‘Given the difficulties associated with these blocks, we have no hesitation in saying the managing agent has earnt its fees’ . The tribunal go further to suggest that other agents may not want to take on the property. You may note the gate issue has been addressed again as part of a current Section 20 consultation with leaseholders to further improve the property. At the same our efforts to address anti-social behaviour and breaches of lease are also disputed . We note you have asked us explain the agent’s efforts to address the issue of trespass to the common parts. Y&Y was informed by a leaseholder that persons unknown to them had carried out works to the Communal area of the development without prior consent from the Freeholder or Managing Agent. This of course alarms any agent or Freeholder as the lease is very specific about who is responsible to carry out and liable for these works. We also note that there was no complaint to Y & Y with respect to alleged graffiti prior to the work or prior to your contact. Y & Y had already scheduled painting to be carried out and the representations suggested merely that parties unknown wished to take on parts of the major works themselves – it is clear therefore that the Agent and Freeholder have acted appropriately in these circumstances. As Managing Agents Y&Y has a duty to make sure that the lease between Freeholder and leaseholder, a legal binding document is enforced. An agent would not be doing their job if it would not enforce the covenants of the lease. As indicated above, it is the range of anti-social behaviour at the premises which underlines and obstructs much of the management obligations. Y&Y Management will continue to act professionally and deal with breaches of lease on behalf of their client especially when those breaches, such as the examples above, cause a nuisance to others or place the Freeholder unduly liable. As can be shown above your published article does not reflect the actual state of affairs at the property and you may note that Since Y&Y has been managing this development they have strived to make massive improvement across the board. · New front doors on all 5 entrances has reduced all issues within the blocks to almost nothing. · Replaced the sky lights AOV’s on the front block roofs to be compliant with the FB. Internals of the blocks as well as external of the back block are due under the major works which is now in consultation process . Residents have been well aware of this. The increase in value of the flats is well reflected in recent sales and down to all the hard work of Y&Y management Ltd.
Y&Y Management take pride in offering a professional service looking after the best interests of individual leaseholders, their Freehold client’s and the developments they manage. Y&Y Management has a significant amount of properties across the Country and the issues are relatively minor in comparison to the portfolio managed. Wise words from Tribunal there. 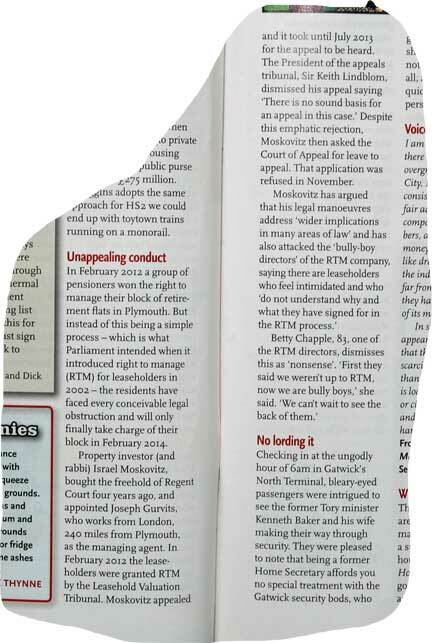 Hopefully it will give Mr Moskovitz pause before he sics the lawyers on any other residents looking to escape his clutches – though I’m not holding my breath!